Offered for sale is 29.5 (+/-) acres with a 1,152 square-foot elevated cabin positioned on the Petit Jean River and bordering the 15,580-acre Petit Jean River Wildlife Management Area north of Ola, Arkansas in Yell County. The property offers the sportsman a turn-key, year-round “base camp” for hunting and fishing on site and the surrounding area. The cabin is nice, well maintained, and rustic providing comfortable accommodations for 10 people. The cabin offers two (2) bedrooms, a full bathroom, a kitchen, dinning area, living area, and utility room. ATVs and boats can easily be stored out of the elements under the cabin. There is a large metal equipment storage structure, a cooking or game processing shack, and a garage and storage/ workshop. The parking area is rocked and the grounds surrounding the cabin offer nice views of the property. 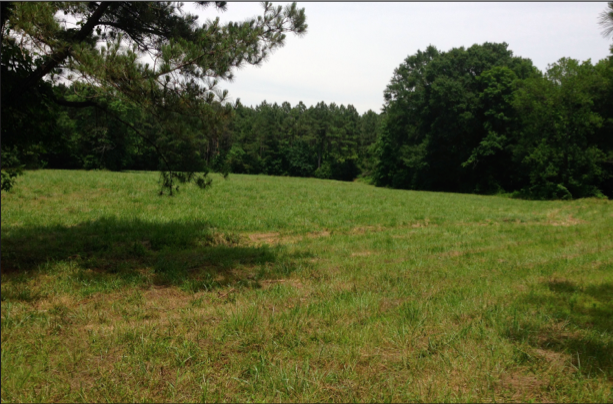 Access to the property is excellent via Arkansas Highway 7 and Singing Pines Road. The property is quiet, secluded, and very well maintained. Ola, Arkansas is only three (3) miles south of the property providing fuel, groceries, and restaurant amenities. 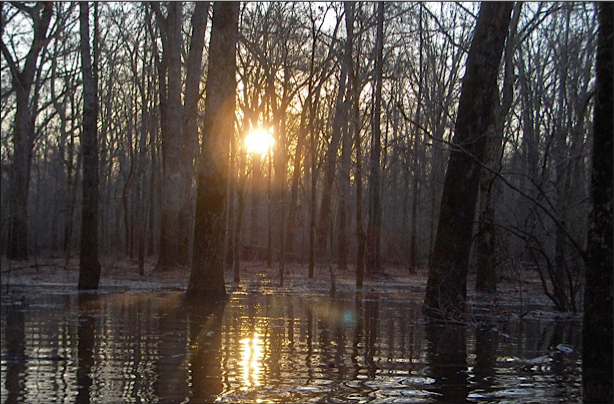 Petit Jean River Wildlife Management Area (“WMA”) is a diverse topography with the Petit Jean River flowing through it with upland and bottomland hardwoods, pine stands, savannas and upland fields, which provides excellent habitat for big buck deer and gobblers, as well as duck hunting. The WMA adjoins the property on the east, which happens to be the WMA’s green-tree reservoir providing authentic, green-timber, mallard duck hunting. It may seem strange to be hunting ducks with mountain backdrops and in this part of Arkansas, but when the WMA’s timber is flooded and mallards are in the big oaks it is hard to know you are not hunting a hardwood flat in East Arkansas. This area is in the Arkansas River Valley waterfowl flyway and the WMA has a history of offering excellent duck hunting when conditions are good. The nearby Arkansas River and Holla Bend National Wildlife Refuge funnel ducks to the WMA. These waterfowl assets are located roughly eight (8) miles northwest of the property and provides over 7,000 acres of agricultural fields, moist-soil impoundments, bottomland forest, and open water. It is not uncommon for Holla Bend to concentrate 100,000 or more ducks at times. The WMA can easily be accessed directly from the property by foot, ATV, or boat via the Petit Jean River (the property has a concrete boat ramp on the river). Excellent deer and turkey hunting is offered on the property as well as on the WMA and on the Ouachita National Forrest (10 miles). The Petit Jean River is known for offering excellent fishing for bass and catfish, and the Arkansas River and Lake Nimrod are located roughly 10 miles from the property offering some of the best bass and crappie fishing in the state. This unique and beautiful property is offered for sale for $240,000.00. Any questions concerning this offering or to schedule a property tour should be directed to Gardner Lile (mobile: 501-658- 9275) or Gar Lile (mobile: 501-920-7015 | office: 501-374-3411) of Lile Real Estate, Inc.